In case you’re been wondering all week, no, I did not go blonde, still a brunette. But the stylist did take off a few good inches so it feels “short” to me, but that’s coming from a girl with extremely long hair to begin with. So I guess it isn’t really “short”, just healthy now 😛 Although I did get a pang of regret when I left with the same natural color flowing through the breeze. Maybe next time, eh? Something else I just can’t get off my mind is the fact that it’s going to be October next week!? Seriously? Where has the time gone? It’s flying by, that’s for sure! It was just August…right? Something I am looking forward to, October 31st marks the day that Hallmark switches over too 24/7 Christmas and holiday movies! O the joy! And that runs through to February and will be the only thing on my TV (besides the occasional CNN check). But I’m getting ahead of myself, we still have a few weeks! You have a ton of clicking, reading, and drooling, and pinning to do this week! Happy Friday Finisher! Have a lovely weekend! Time to edit your vocabulary! Haha! These are so true! What you decide, can make a difference! You don’t have to glorify busy! Because that is one of the hardest things! I think we all do this! + Are You Listening To Your Soul? It will keep nagging you until you do. Things will never go as planned. I like these, although I think some of the 5 from school for her, I learned outside. + Are You A Sedentary Athlete? Even if you work out, but sit all day…. When you get in a rut and it’s all too real. Ladies…you can do them, and should! Even busy moms can fit it in! I definitely don’t think it’s for everyone. I do this…all the time! + How Safe Is The Newest “Natural” Sugar Substitute? Ew…just stop. We have enough. + Why Are We Celebrating Gluten-Free Cheerios? They ARE using contaminated oats, they ARE paying bloggers to praise them, they ARE NOT 100% safe for celiacs. And the “healthiest” apple is…. If you STILL don’t own one…please buy one now! + How Safe If Your Ground Beef? Ew….well at least I don’t have to worry about this. You shouldn’t fear the fever! We all want to KNOW, that’s why! I know everyone want “gluten-free” to be a cure-all for everything, but it’s not. You may just see a benefit because you begin to learn how to eat better and more variety (if you do it right). And some more reading on the subject. You’re mind is connected to every cell in your body. Good real carbs = healthy. I should try shooting with some utensils 😛 I just don’t have any cute ones! These may or may not surprise you. It doesn’t mean you have to get rid of EVERYTHING! 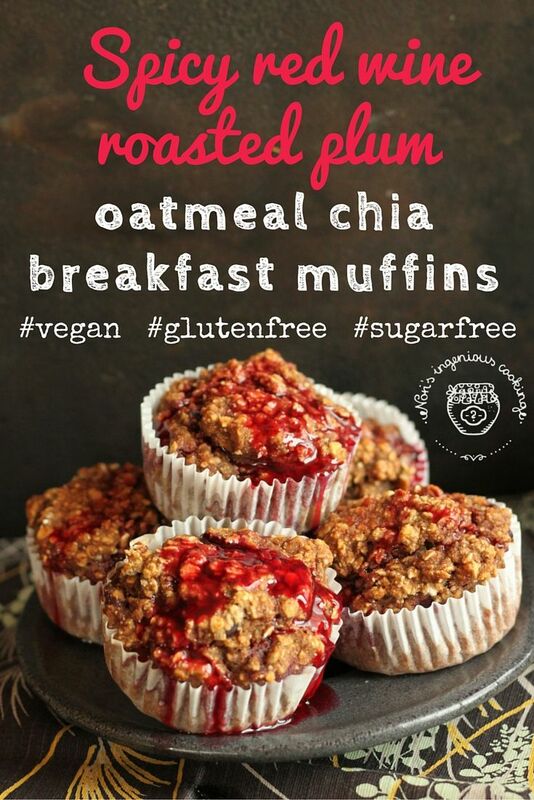 Spicy Red Wine Roasted Plum Oatmeal Chia Breakfast Muffins. What!? Creativity x1000! 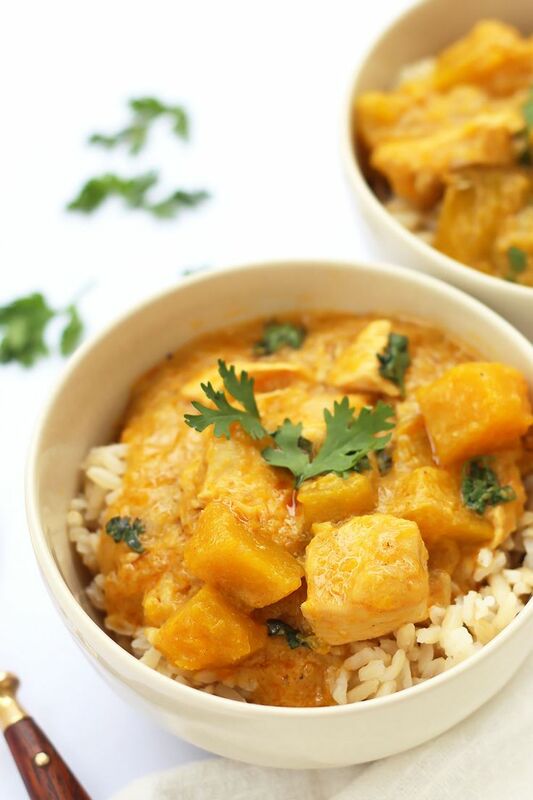 Thai Yellow Curry with Chicken and Squash. Now I need some yellow curry paste! Lentil Mint Fudge. That’s right…lentils! 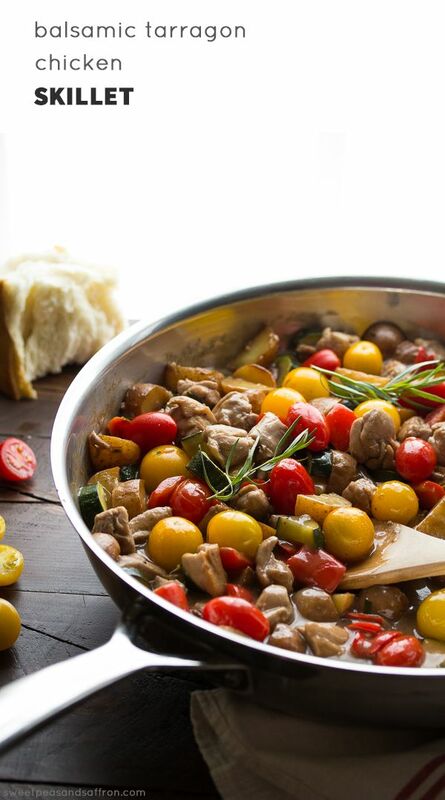 Balsamic Tarragon Chicken Skillet. This is one perfect chicken dinner! 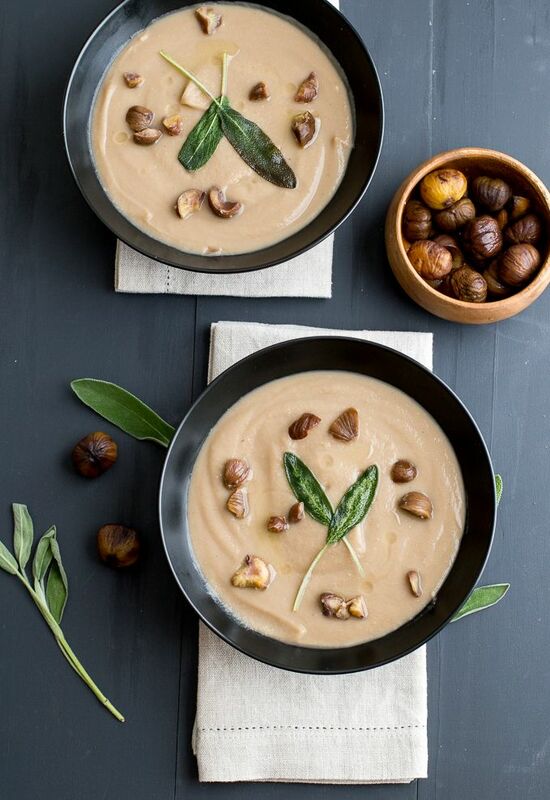 Celeriac and Chestnut Soup. I just bought some chestnuts and have tons of ideas now! 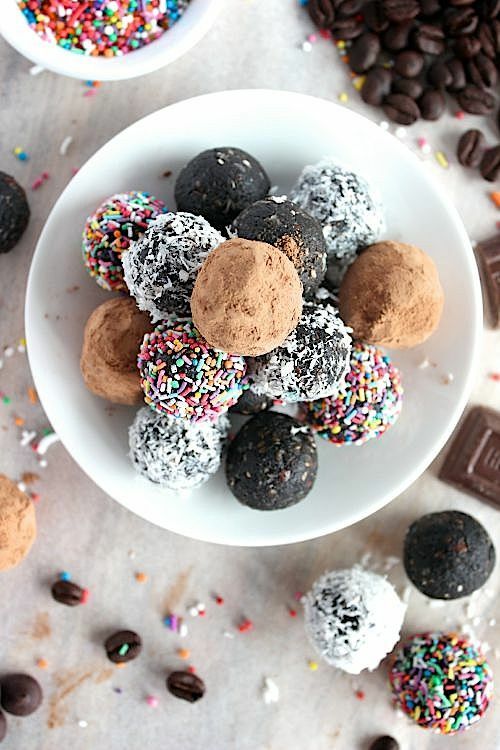 Double Chocolate Espresso Bliss Bites. No dates! Only amazing love! 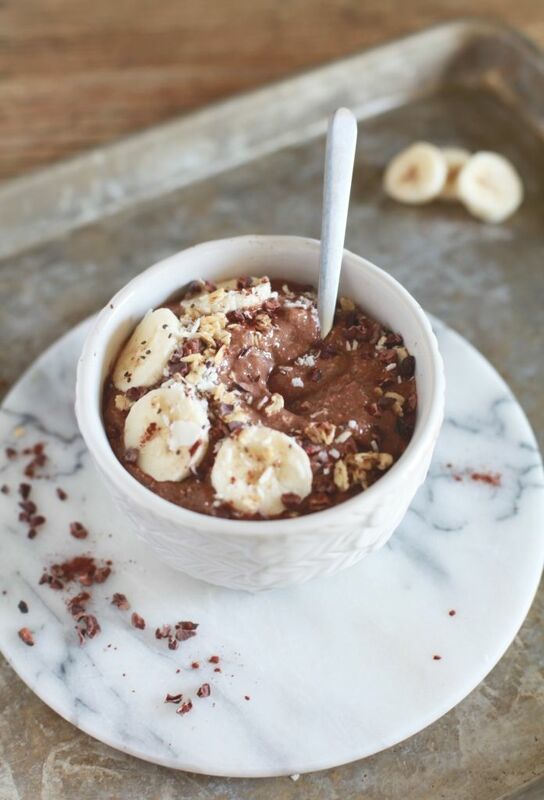 Rich Cocoa Chia Smoothie Bowl. 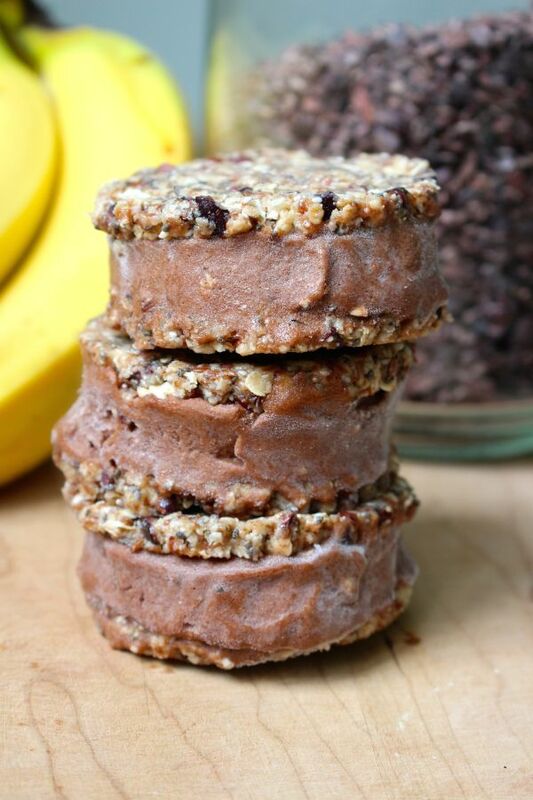 Maybe I will try a chia pudding…because this is beyond and actually looks satisfying! 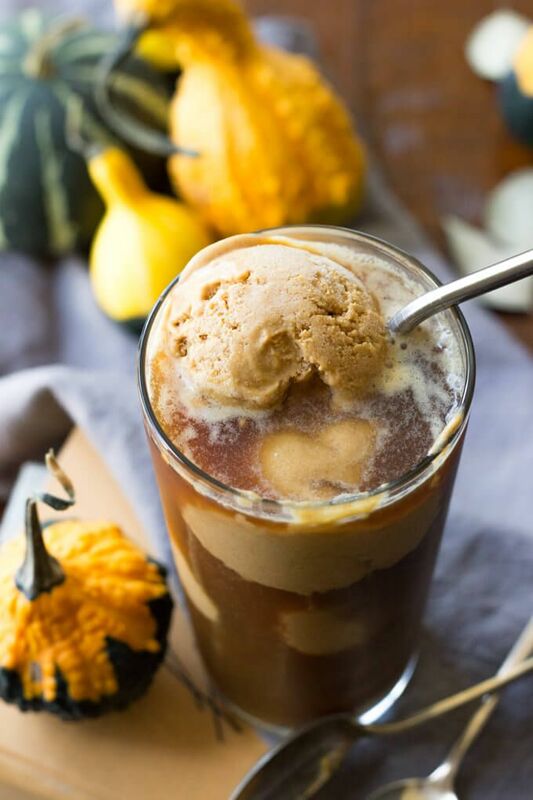 Paleo Pumpkin Pie Ice Cream Coffee Floats. What the what!? Fainting! Slow Cooker Ranch Potatoes. 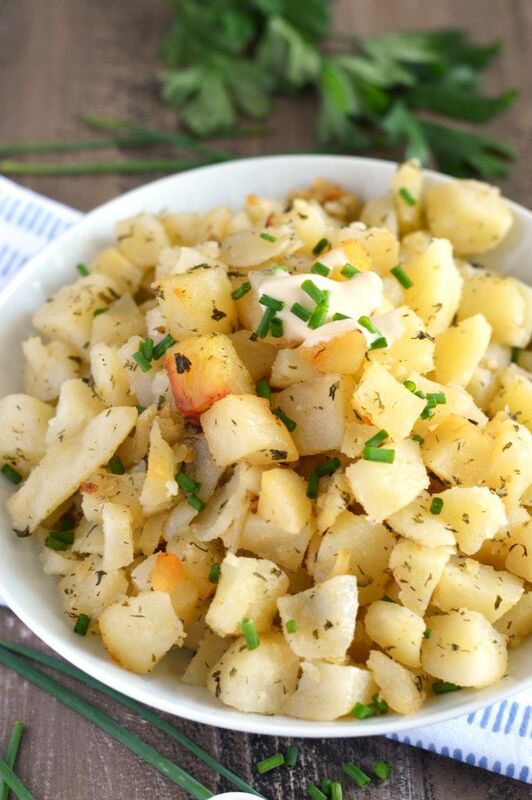 Drooling over this potato + dill love! 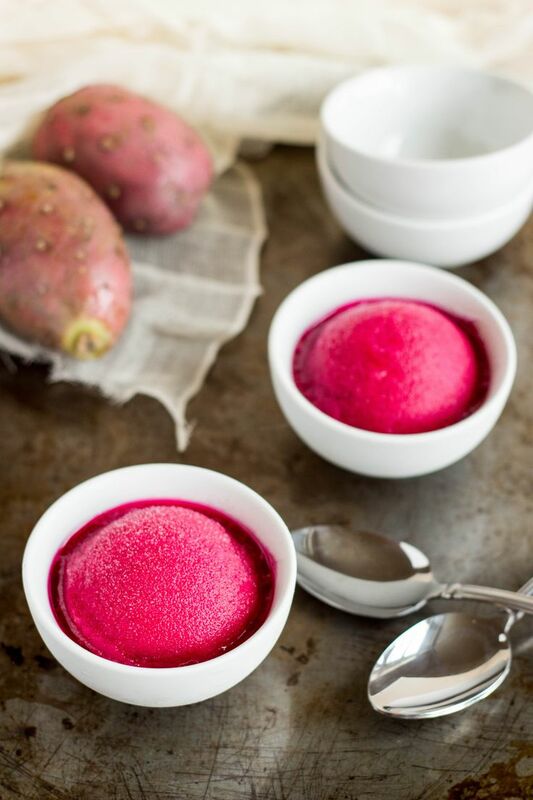 Cactus Pear Sorbet. I NEVER know what to do with them! 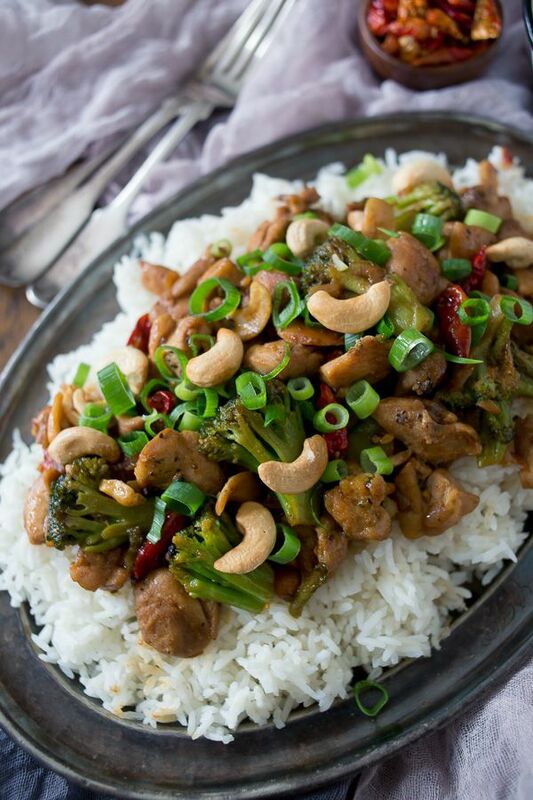 Spicy Cashew Chicken. Spicy “Rebecca” Cashew Chicken. This is mine…all mine! 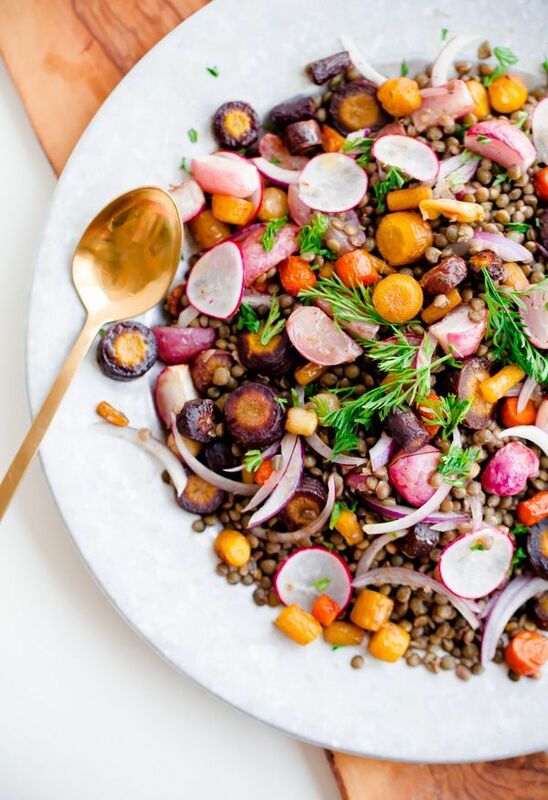 Roasted Carrot Lentil Salad with Tahini Dressing. Well because tahini…duh! 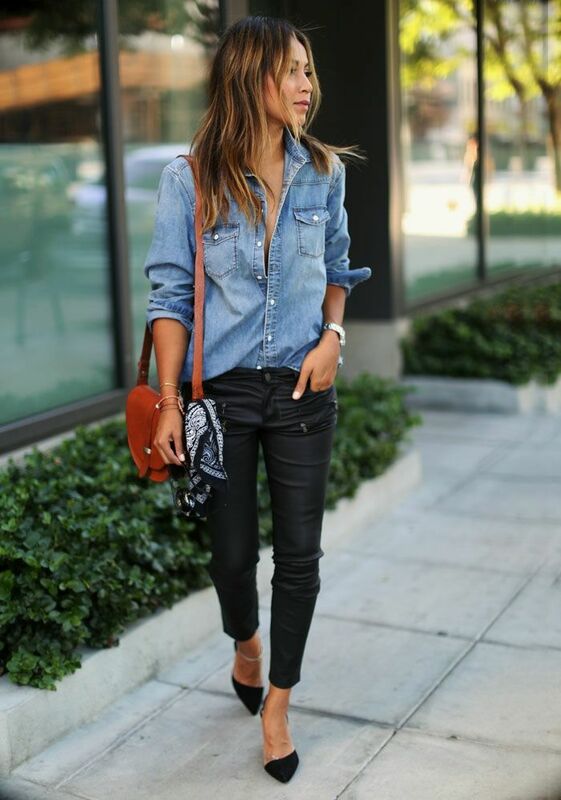 Leather x Denim. I’m going to switch it up and through in this “look”. Seriously. Ah! Yes! + So I’ve been thinking of moving forward with a semi-new redesign for the blog. You all know I’ve never been happy with it, and it just continues to annoy me. But I’m still not sure how exactly I want it to look so it’s hard to move forward when I don’t know where to go with it and what exactly I want changed. My blog just doesn’t feel right, doesn’t feel “me”. What do you guys think? + There is going to be some extremely fun baking going on in the coming weeks. I actually took this week off from cooking anything new (I feel like I’m burning myself out), but I did “redo” an old recipe that will be updated on the blog soon. But the fun baking projects have to do with pumpkin….ultimate pumpkin madness! + Are you a Hallmark holiday junkie like me? + What one thing you really want to bake or your favorite thing to bake this Fall? That float and that lentil salad though! Yum! Thanks so much for sharing all these delicious recipes. You are my new happy place. I know what you mean about the blog redesign. I am almost never happy with my design and if I didn’t have to do blog work I would spend most of my time tinkering with it. Haha, yea! Thank you so much dear!! 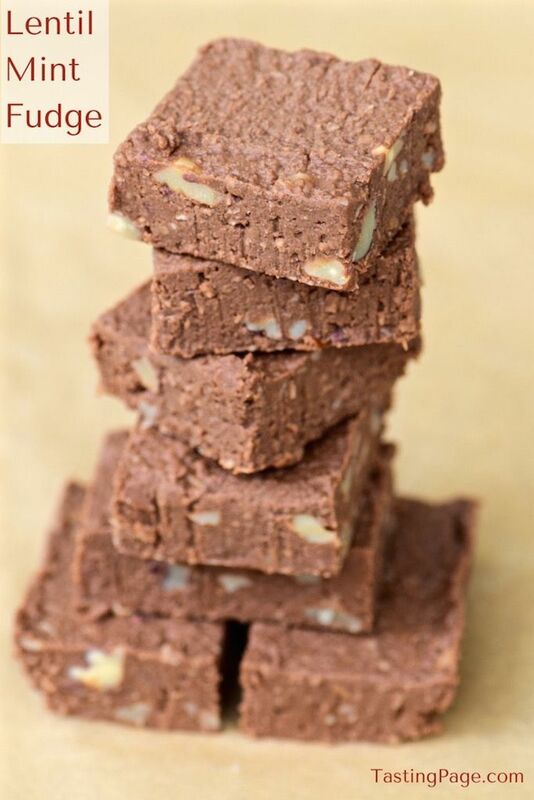 Lentil fudge – oh yes! Love all of the recipe links! Second, I picked apples yesterday and made an apple crisp. Fall baking is my fave! Last, I love your natural hair color. The way that I see it, at some point I will spend 40+ years (possibly) dying out grey an white – why start that cost so early? I’ll have fun with my color in my 40s and 50s but enjoy my FREE color while I can!! Out of all of the colors in the world, the one which you came with will always compliment your skin color and tone more than anything from a box will. Purple!? I love purple food, but that does not fit strength and SUNSHINE! Hahaha! And that’s what I’ve always said. I do love my color and when I am older and greying, I wouldn’t dye it then either. But, I feel “bored”. Need to do something “out there”, I think. We just did a little redesign and we are still trying to get the homepage the way we want it. I say if you aren’t happy with the design, start experimenting with other things. If you ever need help, Dave has a way of helping you collect your thoughts on sites you like and finding ways to pull it together! Good luck 🙂 and the baking all week sounds fantastic! Can’t wait to see what you come up with! Thanks for linking my post! Lots of good reads in this post! Isn’t!!! I got excited when I found that gem! Haha, it’s really not short 😉 Hopefully I can grace you all my my face after that expo I’m going to next weekend! Photo overload!!! Thanks for sharing my ranch potatoes! They just sounds and look soooo good! I can’t believe how fast this year has flown by! I didn’t realize Hallmark switched to holiday movies that early. Thanks for the tip :). It looks like some awesome links you’ve shared here. I’ll definitely check some of them out! Oh you and your tons of great reads/links each week! I loved that one about the healthy living bloggers. So true, yet so sad. Yay for pumpkin love! I know right! It’s terrible but true! Wow! Had no idea about the GF Cheerios! I’ve seen a lot of popular bloggers promoting them. I’m not a big cereal person, but I kinda of wondered about this. Yea, and those bloggers are not Celiac, so don’t trust them! So many good reads here this week, not sure where to begin. I do appreciate the backlash to”busy”. Thanks for that. I want one…a soy apple…seems pretty clandestine 😉 Secret agent APPLE! I just bought a can of pumpkin so I (obviously) need to make something with that this weekend 🙂 Not sure if it’ll be a snack/baked good or a main course. Have a great weekend! Make some savory with one half and the other half use to bake! Haha, that is the purpose! Glad I can always provide the entertainment! I really want to try chia pudding – I’ve been checking a few out on Pinterest and I’m sold! Also those red wine plum muffins – OMG! I’m still not sold! I keep telling everyone I will do it….been saying that for over a year now….but I don’t know!!!! But I bet when I finally do it, it will be one of those things that is amazing and I can’t believe I was so turned off by it! And now I want to try your pumpkin hummus and those red wine muffins!